No matter what type of business you have, it is important to maintain security. Modern security systems are available with keyless entry, which means no keys, no hassle, and fewer security risks. With a keyless entry system, you take control of your protection and even save money. Empire Technologies is ready to help you with keyless entry security system installation service repair in Montclair. 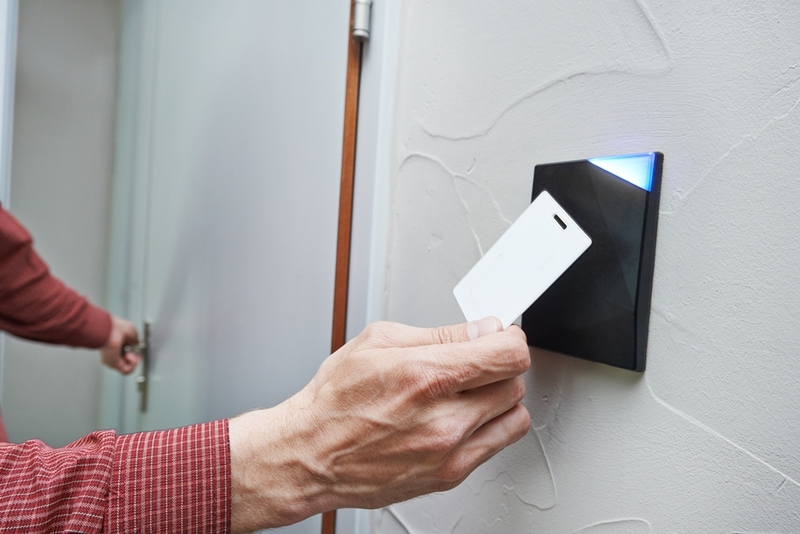 How does a keyless entry system function and will it work for your business? For an office or other retail location, you need a security system to protect your staff, inventory, and assets. Today’s keyless entry systems are easy to set up and install for any type of business. The professional team at Empire Technologies is proud to serve our clients—companies just like us—with their technical needs, that include industrial and commercial keyless entry systems. For additional information about business security, reach out to Empire Technologies for a free quote. We will happy to visit your location and supply our expertise and affordable solutions that will work well for you and your business. Contact Empire Technologies at (909) 321-2570 for keyless entry security system installation service repair in Montclair.